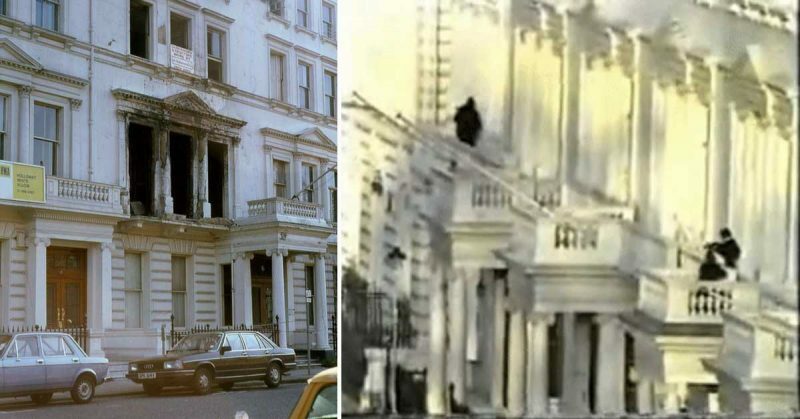 On 5th May 1980, the Special Air Service (SAS) stormed the Iranian embassy in London, ending a six-day siege. It was an event that brought together two significant trends of the 20th century – the growing importance of specialist units such as the SAS, and the increasing prevalence of news media directly reporting on military action. 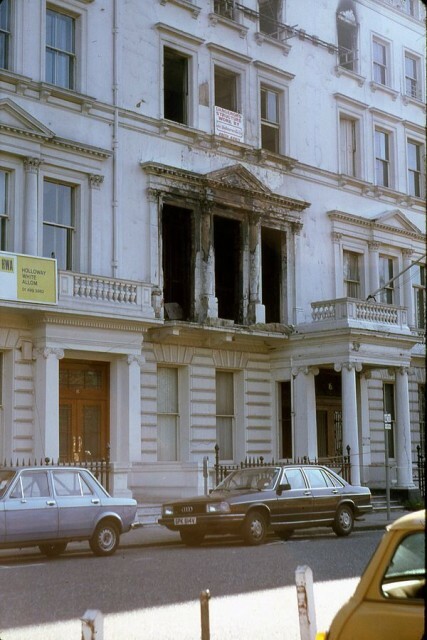 On the 30th April 1980, six armed men entered the Iranian embassy in London. 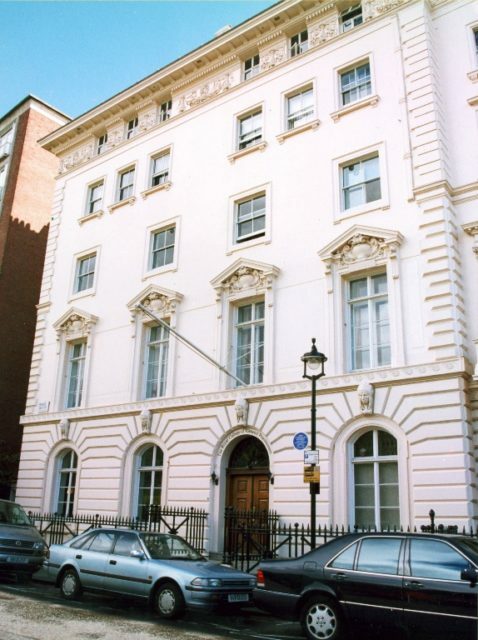 Its inhabitants were taken hostage – staff and guests who included the ambassador, British journalists and PC Trevor Lock, the policeman guarding the embassy. The terrorists were members of the Democratic Revolutionary Front for the Liberation of Arabistan, a group fighting for independence from Iran for their home region. They demanded the release of prisoners held by the Iranian government. Tense and protracted negotiations followed. These were complicated by Britain’s poor relationship with Iran, covert Iraqi support for the terrorists and international treaties around terrorists and the rights of embassies. From the start, the British authorities decided that they would storm the embassy if any hostages were killed. It was also clear that they could not let the terrorists go. And so, while negotiations continued, preparations were made for that attack. The SAS were tasked with storming the embassy. Some of Britain’s best troops, the SAS was first founded in World War Two as a highly trained unit whose members relied on their own initiative rather than rigid command structures. Since the terrorist massacre at the 1972 Munich games, they had developed a group specially trained to deal with terrorist incidents – the Counter-Revolutionary Warfare (CRW) wing, or Special Projects (SP) Team. These men were experts in difficult close quarters fighting and hostage rescues. At the start of the embassy siege, the SAS had a relatively low public profile. That was about to change. Developed by Lieutenant Colonel Rose, the plan for the assault was built around speed, surprise, and aggression. The assault teams would burst into the embassy by as many different routes as they could, using stun grenades and tear gas to disorient the terrorists. They would move quickly and decisively to prevent the terrorists regrouping or killing their hostages. Still, high casualties were likely in an assault – it was estimated that 40% of the hostages would die, and the SAS would also lose men. A scale model of the embassy was built to help in planning. Full-size replicas of each floor of the building were constructed and the soldiers used these to practice their assault. Throughout the siege, two CRW teams were kept on hand. One was always on standby while the other rested so that a team could go in at a moment’s notice if events turned violent. Understanding the situation was vital. 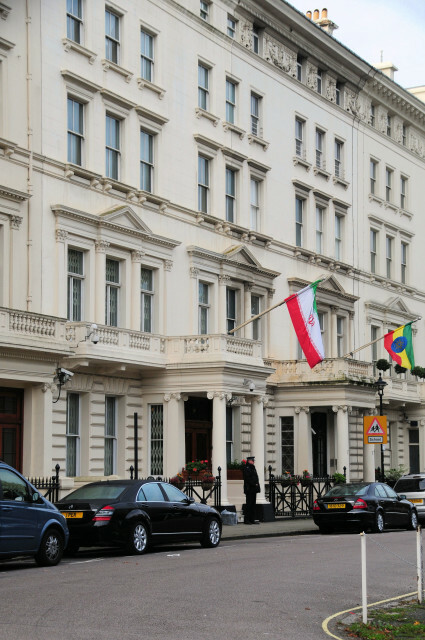 The SAS had advised on security for the embassy when it was run by the previous Iranian regime, so they had knowledge of the building’s layout and potentially out-dated security information. Tiny microphones and video cameras were inserted through holes drilled in the walls, to give insight into the developing situation. The soldiers who would carry out the assault had reconnoitred entry points on the roof. The release of three hostages had given them further information. But still, there were no certainties over what they were going into. At 13:45 on May 5th, the terrorists executed a hostage. Unknown to them, British decisions about the handling of the siege now made an assault inevitable. At 18:55 the police retrieved the body. They now knew for certain that the terrorists had started killing hostages. At 19:07 Deputy Assistant Commissioner Dellow gave control of the situation to Lieutenant-Colonel Rose. Until the assault was over, the SAS were in charge. While the negotiators kept the terrorists busy, telling them whatever they wanted to keep the remaining hostages alive, the SAS moved into place. With so many reporters on hand to report on the siege, TV cameras caught sight of the final preparations for the assault and broadcast them live. Fortunately, the terrorists had no TV on, and so did not see what was coming. While snipers provided cover, 32 men stormed the embassy. Each assault team had a set area to cover. They were not to stray beyond these, to avoid friendly fire incidents. The go signal came at 19:24. Some men burst in through the French windows at the rear of the building. Others came in through a skylight on the roof while abseil teams reached the floors in between. Not everything went as planned. An abseiler became stuck on the way down the building. Some of the hostages were not where the SAS expected. One of the entry rooms turned out to have been barricaded shut, and a soldier had to leave through the window and re-enter across the balcony to get around the blockage. Stun grenades ignited fires, which quickly spread. But the fast, aggressive plan paid off. Caught by surprise, the terrorists were only able to kill one of their hostages before being gunned down, most in a hail of gunfire from several soldiers at once. Two were taken alive, but as they were passed hastily from man to man down the stairs, the SAS realised that one of them was clutching a grenade. He was flung to the ground and shot dead before he could pull the pin. The success was aided by one of the hostages, PC Lock. Realising that the assault had begun, Lock knocked the terrorist leader to the ground and grappled with him. Despite suffering from the effects of CS gas, Lock kept the terrorist from firing his gun, then rolled clear at a shout from the SAS, who shot the terrorist before he could fire. The assault was a stunning success. Despite predictions, only one hostage was killed and two seriously injured in the assault. The SAS teams suffered no losses. In a matter of minutes, they had defeated the terrorists and ended the siege. And doing so in front of the world’s press, their exploits broadcast live to a tensely watching nation, they earned their unit a whole new level of fame.